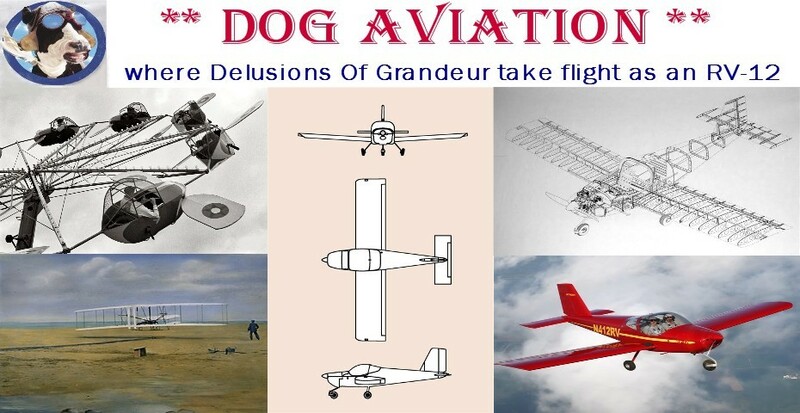 DOG Aviation John's RV-12 Blog: The Eagle’s Heavy Wing Issue - Solved!!! A big shout-out to Tom in Kentucky … thanks for posting on the VAF forums about your observation that your RV-12’s wing skins aft of the rear spar were not flat. It seems that Tom, much like myself, had a heavy wing … although Tom’s was the right wing and the DOG Aviation RV-12 had a heavy left wing. As mentioned in an earlier post, during early flight testing, I discovered a heavy left wing and followed Van’s suggestion of flattening out the aft edge of the flaperon on the light wing (right wing in my case). After flatting the aft edge just a little bit, went for a test flight and still had a heavy left wing, but seemingly slightly better. Before bending more flaperon metal, decided to have a look on the VAF forums to see what others have done. I knew the rod end bearings were set correctly, so was looking for other options. Fortunately, I ran across Tom’s thread and read where Tom discovered the upper wing skins aft of the rear spar on his RV-12 were not flat … after Tom flattened the wing skins in this area, his RV-12 flew hands off without rolling. As mentioned in the previous post, decided to have a look at mine and sure enough, discovered I too had places on both wings where the skins were either low or high and proceeded to level this area on both wings. Today I made a very late afternoon test flight during very calm conditions at the airport … the winds were very light with an occasional gust to 7 knots. There was no turbulence, so the RV-12 flew like it was on rails … I’m happy to report Tom’s suggestion regarding leveling the wing skins aft of the rear spar really made a HUGE!!! difference … no more heavy left wing!! Yay!!! The DOG Aviation RV-12 now flies level hands off. A tip for fellow RV-12 builders that discover they too have a heavy wing: I would suggest prior to bending flaperon metal or adjusting rod end bearings (especially if you were meticulous when installing them), the builder should first consider taking a very good look at the skins aft of the rear spar. Drop the flaps to gain some clearance, then adjust the skins flat using a straight edge and block of plywood as documented in the previous post. Fly again and if there is still a heavy wing, then look elsewhere … possibly getting draconian with the aft edge of the light flaperon or adjusting rod end bearings. I’ve been holding off on really delving into the test flight cards since I have 40 hours to fly off, there is really no rush … so figured it best to tweak the RV-12 to obtain straight level flight first and then proceed to working through the flight test cards once the RV-12 flies straight ... which I'm happy to report, now it does.